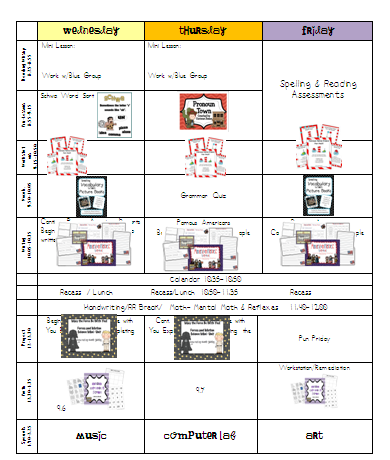 Primary Inspired: Visual Plans Linky & Winners! Visual Plans Linky & Winners! 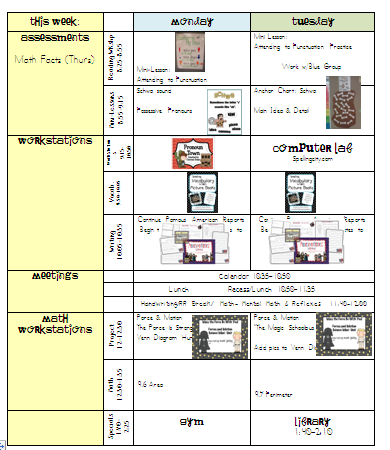 This is my first try at visual lesson plans. I've been seeing them pop up all over the blogosphere and I love how they look! So I'm trying my hand at it. This week is going to be a little odd for us. . . . It's standardized testing for the big kids all week, and our school adopts the 2-hr delay schedule for the week. That means our days are all OFF. . . and you know what that means, the kids will all be off. Boo. But we'll make the best of it! The 2-hr delay schedule means that we get 15 minutes extra in our day, and I'm using that to get in some Dr. Seuss fun! Click on the pic. . . . it links to a pdf and all of the pictures are clickable links to the units. I'm linking up with the fabulous Deedee Wills for her Peek at My Week Linky. And in other news. . . . I'm announcing the winners of my American Heroes Research Unit. 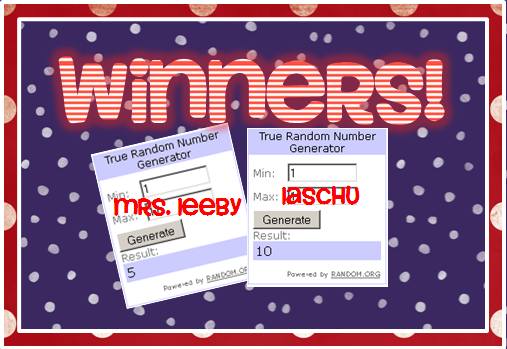 Congratulations to Mrs. Leeby and LaSchu!! That's what I had been thinking too...they look so cool! I had fun making it. You should give it a try! I am so excited I won! Thanks for sharing your research unit! I can't wait to use it with my class! You'll have to let me know how it goes! Post pics! I love seeing how others organize and plan their blocks of time! Thanks for sharing your visual plans! Thank you for linking up!!! Have a great week!